Now a major motion picture from Lion's Gate Films starring Christian Bale (Metroland), Chloe Sevigny (The Last Days of Disco), Jared Leto (My So Called Life), and Reese Witherspoon (Cruel Intentions), and directed by Mary Harron (I Shot Andy Warhol). 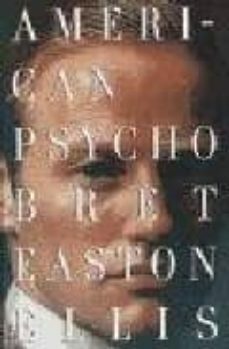 In American Psycho, Bret Easton Ellis imaginatively explores the incomprehensible depths of madness and captures the insanity of violence in our time or any other. Patrick Bateman moves among the young and trendy in 1980s Manhattan. Young, handsome, and well educated, bateman earns his fortune on Wall Street by day while spending his nights in ways we cannot begin to fathom. Expressing his true self through torture and murder, Bateman prefigures an apocalyptic horror that no society could bear to confront.